Talking with T is a talk show designed to Engage, Educate, Empower , Encourage and Entertain its listeners with Trending Topics, Noted News, Interviews, New Music and much, much more! Talking with T features a variety of topics and information to engage its listeners. Tanisha is a native of Knoxville, TN where she graduated as valedictorian from Austin-East High School. She continued her education graduating from both Florida A&M University and the University of Tennessee with degrees in Actuarial Science and Education. For the past 15 years, Tanisha has served in the educational arena. Her career began in the classroom followed by working nine years as a math instructional coach and consultant. Tanisha is currently the Director of Data Analysis & Research as well as College & Career Access/Success Team Leader for Project GRAD Knoxville. She is skilled in data analysis, research, professional development and presents on a multitude of topics. 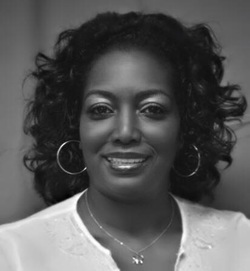 Tanisha is the President and CEO of Educational Enhancement Service, Inc. established in 1998. She is also a member of the Five Points Up Community Action Group. She has developed the unifying concept of The Village of Knoxville with the mission to organize opportunities that educate, elevate, encourage and empower all citizens. (www.thevillageofknox.com ). “Talking with T” is an extension of the mission that guides The Village of Knoxville. Tanisha is a member of Alpha Kappa Alpha Sorority, Inc. Her hobbies include writing, art, and jewelry design. She resides in Knoxville, TN with her husband, Darritt Baker and only son, Tylan Baker. Pamela Campbell is a native Knoxvillian gifted with quick wit and the gift of gab. She has been featured on Talk Radio and is the contributing talent behind the "Crazy Chronicles" . Pam is a social media favorite and our top investigator - most often instigator. Jay Lawrence Bussell is a Knoxville Native and current resident of Memphis, TN. He is an graduated from the University of Tn and went on to pursue a career in education. He is currently a High School English teacher with his PhD in education. Jay brings enlightenment, research, and humor to trending news as he does it Jay's Way. Terreka Holloway-Smith Is a youth advocate with tons of advice on a multitude of topics. She is a Knoxville Native and an employee of Project GRAD Knoxville. Her weekly tips are always on point as she shoots it straight (with no chaser). Calvin Taylor Skinner is passionately committed to leadership development, community organizing, multicultural engagement, diplomacy higher education access, and success programming to enhance our live events in low income, high minority neighborhoods. He has over 10 years of experience with project management and diversity initiatives in the entertainment education, non-profit, and faith-based communities. From high school youth to veteran professionals (in non-profit, corporate, government, education and faith groups), Calvin has the unique opportunity to serve with dynamic leaders from Washington, DC, Philadelphia, Pennsylvania, New York City, New York, Knoxville, Tennessee and internationally with his most recent project to organize for Ambassador Suzan Johnson Cook’s diplomatic work in South Korea. In March 2018, he launched One Knox Legacy Coalition with veteran and emerging leaders with in Knox. This group engages the civic and faith-based communities to education and mobilize voters through the #WeVoteInKnox social media campaign and through the One Knox Ujima Rally at Haley Heritage Square, One Knox Voter Empowerment Week, and One Knox Voter Action Week. Marcus is a Washington DC native who studied Spanish and theater at the University of Tennessee. After working in corporate america Carmon began his multimedia production company Carmon Sense Productions in 2011. In 2012 he produced his first full stage production "What in the Hell Do You Want?" co-directed with broadway actress and director Larjuanette Williams. The play was a success with over four hundred in attendance during the two-day showing. Carmon has produced the hit theatrical presentation The 5th Woman and is currently filming the first web series from Carmon Sense Productions, 'The Divorce Party' set to debut Fall 2015. He is also in works to create a documentary on Knoxville College along with Knoxville College Historian Robert Booker. Marcus provides creative contributions to ﻿"Talking with T" ﻿through research, interviews, and video productions. He also produces "Conversations with Carmon Sense" which features local talent and brings current news and social awareness topics to the listening audience.